Description: Famagusta Othello Tower: Crater in Shooting Gallery. Description: Famagusta: St. Symeon's destroyed by bomb. Description: Famagusta: St. Symeon's seen through the west end. 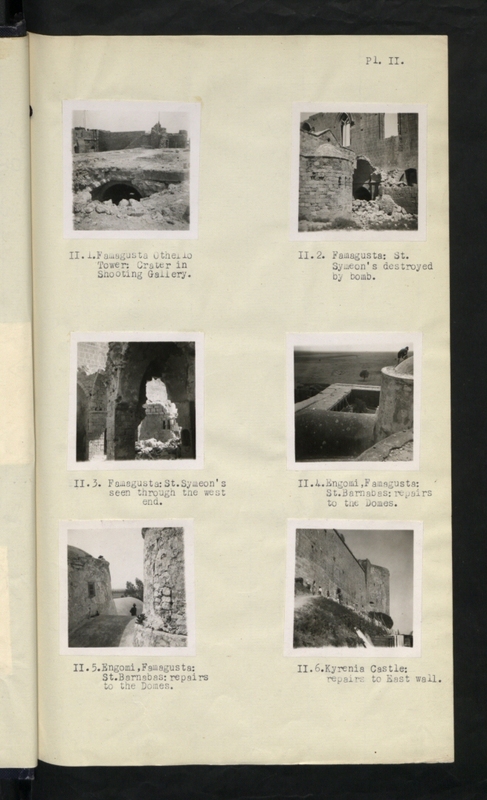 Description: Engomi, Famagusta: St. Barnabas: repairs to the Domes. Description: Kyrenia Castle: repairs to East wall.